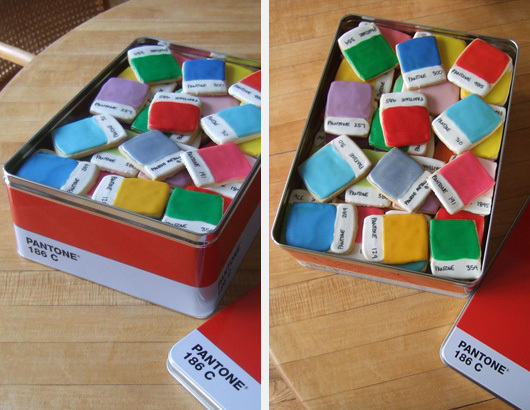 Pantone Chip Cookies | Shelby White - The blog of artist, visual designer and entrepreneur Shelby White. Holy Batman! That is lot of frosting. i wonder how close the frosting is to real pantone hues. thats impressive. My question is, how many can I eat without getting a stomach ache. You should be selling these! My boyfriend would totally get these for me for Valentine’s Day. 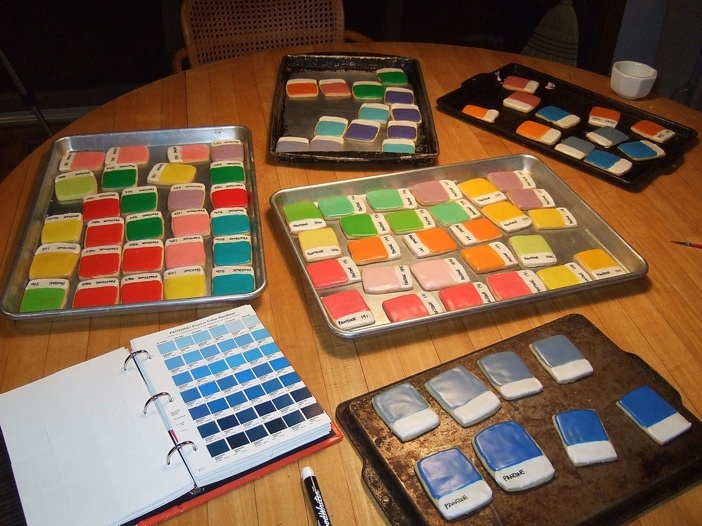 For the unique opportunity to EAT A PANTONE COOKIE, visit the McNeill Art Gallery in NYC this Feb.16, 2011 where my cookies have been invited to be part of Chromesthesia, a group exhibition exploring color and its effect on the senses.There will be 200 PANTONE COOKIES ON DISPLAY so don’t miss it! For more details visit http://www.kimcreativestar.com and click on CURES FOR BOREDOM blog.